We design and fabricate custom armor for use in TV, film, theater, cosplay, and more. Each creation is made to order and one of a kind. Our suits of armor are tailor fit giving you both style and comfort. We have built custom pieces for clients all over the world. Our artistry and attention to detail ensures a realistic, beautiful, and fantastical final product that’s sure to amaze! We also accept a limited number of art projects for extravagant stand-alone pieces like helmets, swords, shields, and more. Contact us to craft your Fantasy! 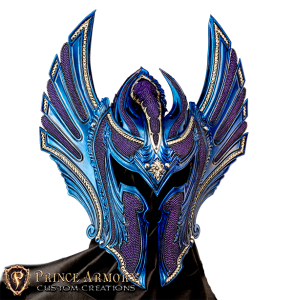 Prince Armory has been designing and creating one of a kind leather armor for more than 10 years. Our pieces are constructed with the most premium materials and finest leather, designed from the ground up to be the perfect match your every preference.